Gestational diabetes mellitus (GDM), until recently defined as any degree of hyperglycaemia first detected in pregnancy , is a growing public health concern . The prevalence of GDM shows an increasing trend in most racial/ethnic groups and parallels the global epidemic of obesity and type 2 diabetes . 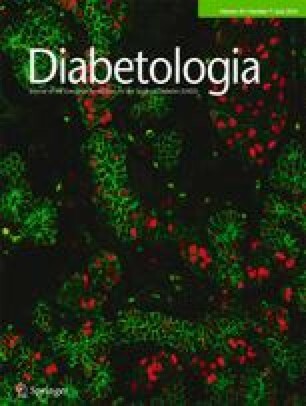 GDM and type 2 diabetes have many risk factors in common and they share the same genetic susceptibility [4, 5]. Both are characterised by insulin resistance and an inability of the beta cells to compensate with a sufficient increase in insulin secretion . Although glucose tolerance usually reverts to normal after delivery, affected women remain at high risk of developing type 2 diabetes during their lifetime, with an estimated lifetime risk of about 50–70% . In addition to hypertensive pregnancy disorders , GDM is associated with dyslipidaemia and other components of the metabolic syndrome , and if present, an increased risk of cardiovascular disease . GDM and maternal obesity are independently associated with adverse pregnancy outcomes, and children born to mothers with GDM and overweight/obesity are more likely to be macrosomic and large for their gestational age [9, 10, 11]. In addition to short-term complications, they also have an increased risk of long-term complications similar to those in their mothers [12, 13]. Studies indicate that offspring exposed to maternal diabetes or GDM in utero are at a higher risk of developing childhood obesity and glucose intolerance in early adulthood than offspring not exposed to maternal diabetes [12, 14]. Moreover, if the offspring is female, she is more likely to develop GDM herself and thereby create a vicious circle. Prevention of GDM and fetal over-nutrition in pregnancy could therefore be important strategies to interrupt this trans-generational cycle of obesity and diabetes (Fig. 1). To date, several studies have demonstrated the effectiveness of lifestyle interventions in the prevention of type 2 diabetes . A beneficial effect on the risk of diabetes was also found in the Diabetes Prevention Program in women with a history of GDM, which was sustained during a 10-year follow-up period . Since obesity is one of the most powerful modifiable risk factors for GDM in pregnant women [12, 17], many intervention studies have focused on reducing weight or on reducing gestational weight gain in pregnancy, most often by changes in diet and physical activity. The effects of combined diet and exercise interventions during pregnancy were recently reviewed by Cochrane . No clear evidence for the prevention of GDM was found. In contrast, a newly published meta-analysis concluded that moderate exercise programmes initiated early during pregnancy reduce the risk of GDM and excessive gestational weight gain . Ideally, interventions aimed at improving metabolic conditions and placental function in obese women should take place before pregnancy, prior to conception . Interestingly, Zhang et al recently reported that adherence to a healthy lifestyle in the period before pregnancy was associated with a lower risk of GDM, independently of its benefit on body weight . However, it remains to be demonstrated whether prevention of GDM reduces fetal overgrowth and the risk of diabetes and obesity in the offspring. Treatment of GDM has been shown to be successful in preventing major perinatal and maternal complications and in reducing fetal growth . It has been hypothesised that treatment of mild GDM reduces the risk of obesity in the child. However, follow-up of two randomised controlled studies of intensive treatment of mild GDM during pregnancy did not show any effect on BMI in offspring at 4–5 and 5–10 years of age [23, 24]. A longer follow-up time is possibly required to fully test the impact of antepartum maternal glycaemic control on the long-term risk of obesity in the offspring. In the following articles, the consequences of GDM for the mother and her offspring and the effects of prevention and treatment of GDM are discussed in greater detail. Marja Vääräsmäki provides an update on whether GDM is worth treating , Cuilin Zhang et al, discuss whether prevention of GDM is possible , and Peter Damm et al review the long-term consequences of GDM .